in case this wasn’t covered somewhere: would there be a ‘walkthrough’ guide for converting from chan_sip in d&e mode to pjsip ? I am using Device & User mode as well. 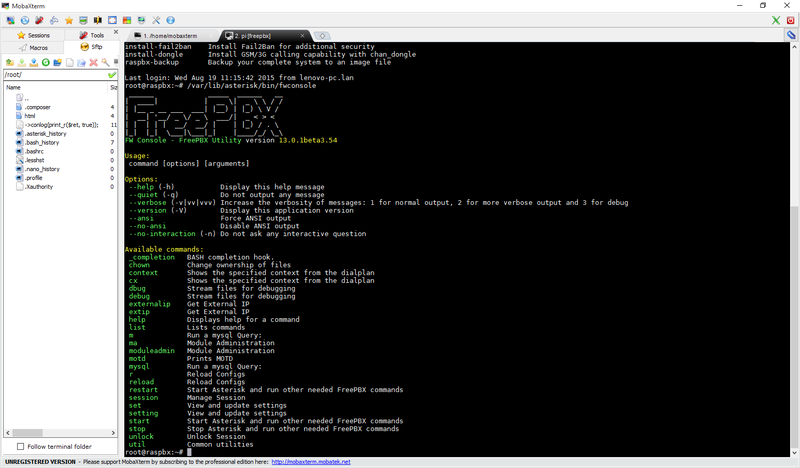 This is of course not supported in the freepbx and therefore the commercial modules. I plan to move over the pjsip from d&u mode. I only have a couple dozen extensions so I plan to move the users over slowly over time. it appears you can have a mix of the two different drivers. it appears you can have a mix of the two different drivers. If we notice a problem after running this under what component, etc… should we log them? It looks like there was some sort of character set change or some sort of incorrect conversion of character set because every accented/special character I had used if now replaced by two (or more) characters (this suggest some sort of improper conversion to/from UTF-8 to/from ISO-8859-1 or something similar…). There has been no change to this. Only new installs support utf8. Any upgrade will never correctly support utf8 as the collation settings vary depending on what you’ve previously done. 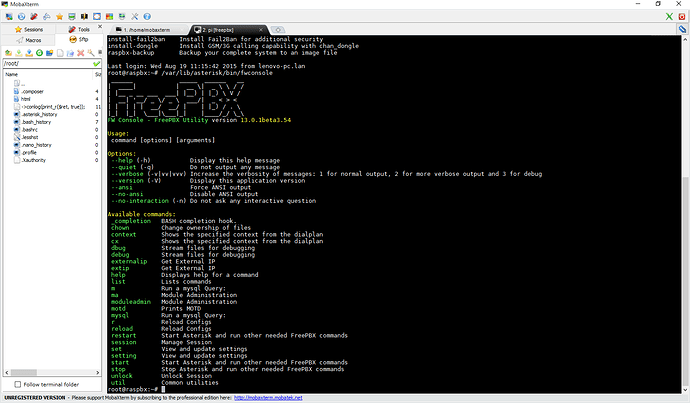 What I have previously done as in how I installed FreePBX? What issues will this do if UTF-8 is not properly supported by FreePBX? I have retyped in one of the string that had been mangled and everything seems OK now but is it stored in UTF-8 or ISO-8859-1 in the database now, I am not quite sure (I am no MySQL guru, I am more used to dealing with Oracle servers…). The characters I typed are supported by ISO-8859-1 though, maybe I should try with something which is not in ISO-8859-1 (which is probably what you used before FreePBX 13…). Only new installs of FreePBX 13 support UTF-8. Sorry. Older databases can not be migrated. UTF-8 was never supported in FreePBX 12 or lower. If it worked then that was a fluke. 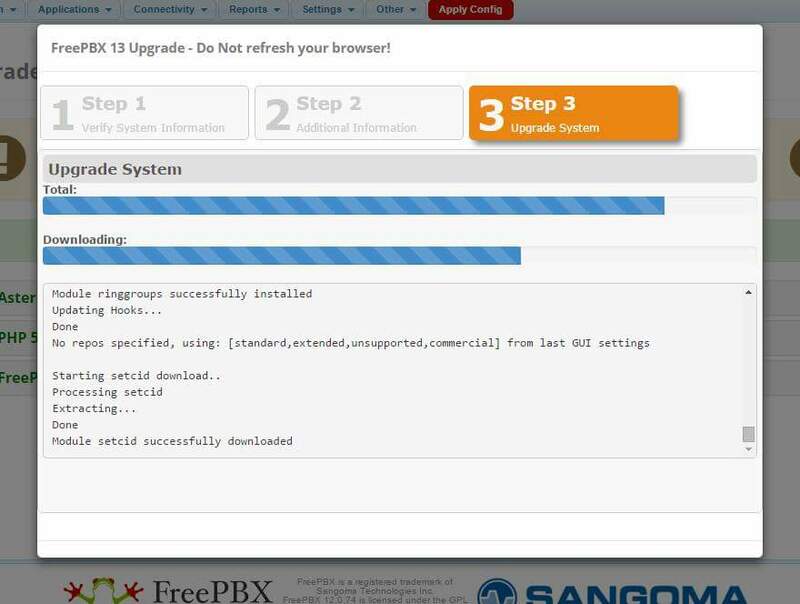 FreePBX 13+ is the only UTF-8 supported release and it has to be a new install. How i can use national characters? Apparently there is a way to change the character set of databases (it probably doesn’t take care of non-ASCII characters though), see http://stackoverflow.com/questions/6115612/how-to-convert-an-entire-mysql-database-characterset-and-collation-to-utf-8 . What would be a supported way of changing the character set to UTF-8? Would doing a new install and restoring a backup work? That has a way of corrupting data. Which is why we don’t migrate old databases automatically. You can do it yourself of course and it’ll probably be fine. This was caused by the table asterisk.faxpro_hook_core which is used by the “Fax Configuration Professional” module. Wanting to play it safe I restored from my backup and I then deinstalled it the module (so that it would remove the table cleanly). I then reinstalled the “Fax Configuration Professional” module and disabled it (this is what I do with modules I don’t currently use but are part of the distro, I don’t normally uninstall them. 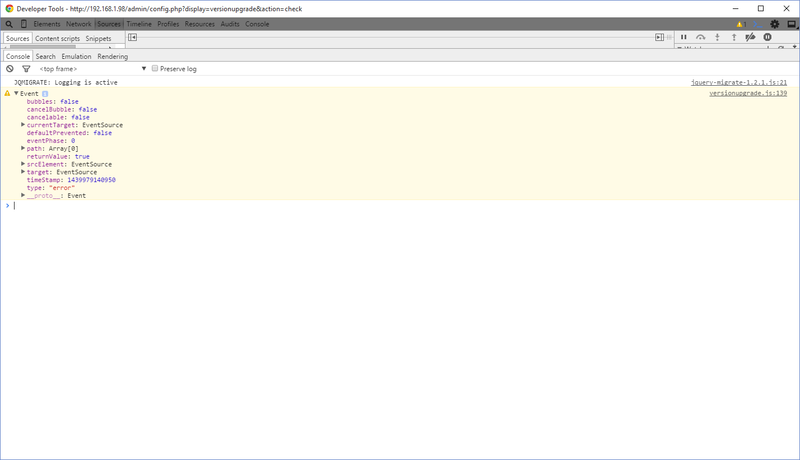 Not sure where to look for ‘console’, can’t see anything obvious in /var/log/syslog or /var/log/messages. I have left my system exactly in this position so if there are specific diagnostic things that are useful at this point I can run them. Which bits do you want opened up for more detail? You can proceed manually if you wish. Otherwise I would need to look at the system myself.